President and Co-Founder for HabitChange Company, Jeff grew this company to 35 people in 3 years. He has challenged the status quo in the coaching field because of ability to help people create real change that lasts. As an executive consultant, coach and trainer, Jeff is known for his innovative approaches to help managers and executives break free from habitual thought and behavior patterns and think, decide, and act mindfully. He created a coaching program for Penn State’s Smeal College of Business EMBA students, cofounded Breakthrough Coaching, co-developed and teaches a 125-hour coach training program at Neumann University, and helped spearhead a 3-year leadership development and coaching program for a billion dollar healthcare system. He is extensively trained and highly skilled in the creative design, development, and measurement of change processes. Vice President of Coaching Services for HabitChange Company. 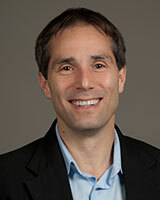 Chris co-developed and teaches the HabitChange Coach 125-hour coach training program at Neumann University and on-line. Chris has a background in clinical social work and has been coaching since 2004. She specializes in helping people change their health habits including weight loss, managing stress and building resilience. Chris helps leaders at all levels of organizations develop their communication, relationship skills, confidence and ability to manage their teams. Her work includes helping teams reach their goals, improve their communication and use conflict productively. Chris is a member of the ICF and served on the board for the Philadelphia Area Coach Alliance (PACA). She also served as Chapter President of Professional Referral Exchange, a business referral networking group. Chris walks her talk regarding wellness– she has completed two marathons, several multiple day charity bike rides and other races. Playing the bass guitar in the Philadelphia area is one of the many ways she stays balanced. Sherry Read has over 25 years of industrial experience in finding solutions to leadership and business issues using skills in human resources, compensation, statistics, and process improvement. With a move to Shanghai in 2005, Sherry founded Read Solutions Group, LLC – an Executive Coaching and Strategic Human Resources company. Based now in Wilmington, Delaware, she is recognized for her insights into how to influence and lead in global and virtual environments and for the development of leadership competencies in high change environments. In addition to her own business, Sherry is an adjunct faculty member at Wilmington and Neumann Universities. She also speaks to professional groups, leads workshops and writes about organizational, leadership and global change management. Sherry is a Certified Professional Coach through International Coach Academy, a Certified Executive Coach with Lee Hecht Harrison, adjunct Coach Faculty for Center for Creative Leadership, and member of the International Coach Federation and Global Coaches Network. She is certified to administer the Voices® 360 leadership competency assessment, the Leadership Effectiveness Analysis®, the Individual Directions Inventory®, Benchmarks 360®, the Conflict Dynamics Profile®, and the Influence Style Indicator®. Katrina Ogilby, PCC, CPCC, J.D., M.Ed. Katrina is an Executive and Holistic Health Coach, dedicated to helping people thrive physically, emotionally and spiritually. Katrina combines an empathic coaching style, self awareness and candid feedback to introduce and hold clients accountable to healthy patterns of thought and action. Katrina is one of HabitChange Company’s first coaches and has coached dozens of individuals going through the Habit Change process. She is one of our teachers for HabitChange Coach training program. Katrina also holds teaching certifications in yoga and meditation and has also worked as a sports coach. She has three grown children and lives in the Philadelphia area with her husband of thirty years and her two standard poodles. Rosy Elliott is a certified coach through the International Coach Federation and is principal at Evolve Coaching for Leaders. She is known for coaching leaders and organizations to identify their unique spark, align with their purpose, and commit to their potential; she holds a fire under them and helps them to make their purpose real in the world. Rosy’s coaching is insightful, heart-centered and transformative-inspiring growth and in-the-bones learning. She is passionate about human potential and the magic that can happen in groups when people are firing on all cylinders. Rosy is one of our teachers for HabitChange Coach training program. When she’s not working, you’ll find her practicing yoga, running with her dog in the woods or hanging out with her husband and 4 inspiring kids in their wild and wooly garden. 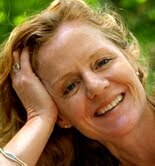 Kathryn (Kathy) Burnett is a Professional Certified Coach and one of the early HabitChange Coaches. She is principle of Vibrant Life Coaching. Kathryn (Kathy) Burnett is passionate about applying positive psychology to her coaching practice. She created “Shape Your Space,” a workshop with an approach to organization utilizing personal strengths and positive psychology principles to get and stay organized. Kathy’s infusion of transformational goals strategies with strengths-based positive psychology creates a powerful approach to getting organized, bringing about increased wellness, growing businesses and meeting professional goals, and other coaching issues. She continues to love music and dance, writing and design, gardening, home improvement projects, walking, biking, Wii activities, and nature. For more than 25 years, Robin Otto has built and enjoyed a successful career in the corporate financial marketplace. Her range of experience in sales, marketing, business development and strategic planning has enabled her to hone communication talents and build additional strengths in personnel management, conflict resolution and team building. In 2011, Robin received her coaching certification from The HabitChange Company and in 2013, her coaching credentials from the International Coaching Federation. Her additional training in “coaching” augmented many of the skills she has used and developed throughout her career. An avid health enthusiast, Robin just received certification as a Kids and Teen Fitness Instructor. Ann has an extensive background in nursing and health education, nursing supervision and management. She has over 30 years in career, clinical and spiritual counseling. Ann is an international speaker in spirituality and has traveled to Singapore, Malaysia and South Africa for speaking engagements. Ann is a Certified HabitChange Coach and is credentialed as an Associate Certified Coach with the International Coach Federation. Ann has helped several individuals through Wellness coaching for Main Line Heath Systems and the Biggest Loser Program for the YMCA. She is presently Director of Pastoral Counseling , St John Vianney center, Downingtown, PA.
Rebecca Holland works with managers and professionals to develop success in their career positions while maintaining a healthy balance in their life. 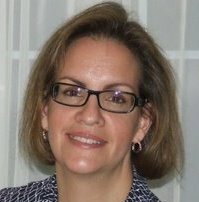 Rebecca Holland, an experienced Leader, holds a Master’s Degree in Organizational Leadership from Cabrini College. She attended Neumann University and achieved Certification as a Habit Change Coach. She is now an Associate Certificated Coach (ACC) credentialed through the International Coaching Federation (ICF). She has experience as a business owner of several child care locations for 22 years. Rebecca also held the position of Director of Finance and Director of Operations for a non-profit health care organization as well as regional and district management positions for profit companies. She has worked in large and small size companies. She still currently owns a chain of child care centers as well as a career coach and works as a real estate agent. Jackie is a Business Programs Analyst for Postal Service, Headquarters. Her passion in life is empowering people to accomplish their maximum potential through challenging thought provoking dialogue. This is evident through her business and civic contributions. Jackie is a member of the Philadelphia Chapter of Network, an organization that fosters the growth of females within the Postal Service and serves as the national Membership chairperson. She is also a member of the African-American Postal League United for Success, APLUS, a non-profit organization dedicated to the coaching and mentoring of African-Americans within the USPS. Jackie is the owner of Revelation to Genesis, LLC, a multifaceted organization designed to assist people with identifying barriers and obstacles and help determine solutions to become successful. Jackie completed the HabitChange Coach Training program in 2012. She loves to read, is married and has four adult children and two dogs. As a leadership and HabitChange Coach, Andrea T. Laine, MLD, helps non-profit executives greet professional or personal challenges with confidence and grace. Her coaching practice is built upon a 25-year career in the non-profit sector performing fundraising and public relations responsibilities for organizations in the arts, human services, healthcare and higher education. She holds a master’s degree in leadership development from Penn State where she was first introduced to self-leadership and its power to help people lead themselves to fulfillment in life. Today, she complements self-leadership coaching with Habit Change coaching to empower her clients to attain, and maintain, health and well-being across all facets of life. Andrea gives back to her community as a volunteer at Duke Gardens in Durham, N.C. and a mentor for the Association of Fundraising Professionals/Triangle Chapter. Amanda Ann Godwin’s passion lies midway between life coaching and spiritual direction. Her “spirit-coaching” makes up the bulk of her young practice, which is thriving in Carrboro, North Carolina. Amanda is trained as a HabitChange Coach and is known for her intuitive style and focus on getting her clients into action.